White, high quality porcelain with silver rim. Rented in units of 10 bowls. Bowl can be used for soup. pasta or salad. 8.25" diameter. 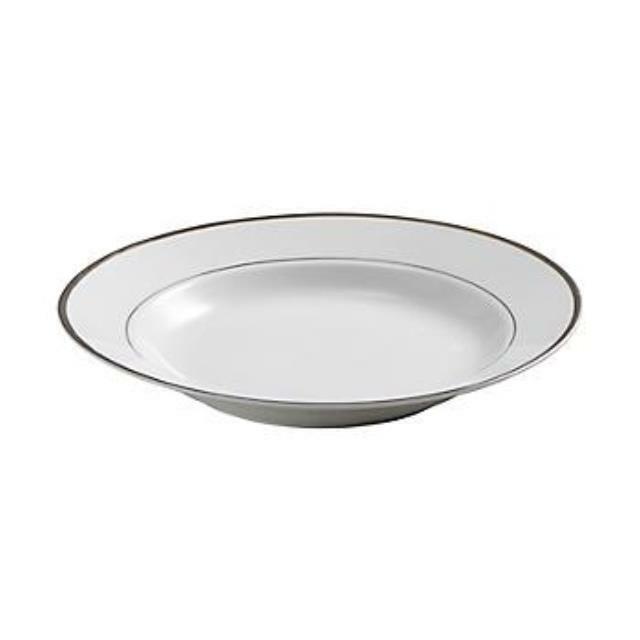 * Please call us with any questions you may have about our white/silver soup bowl un/10 rentals/sales in State College, serving Central Pennsylvania.